NATURAL HABITAT AND PREFERRED SITE: Valleys, canyons, and banks of mountain streams primarily at higher elevations such as the sheltered canyons of the Edward’s Plateau, the Lampasas Cut Plains and the high country of Trans Pecos. 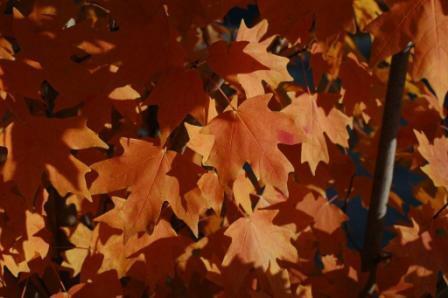 Big tooth maples like growing in limestone soils but can adapt to a wide range of soils. 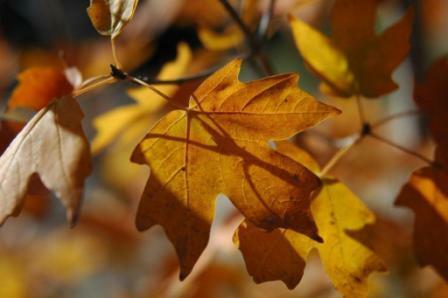 IDENTIFICATION INFORMATION: Big tooth maple is a beautiful upright to spreading tree to 50 feet with yellow to golden fall color. FLOWERS AND FRUIT: Small yellow flowers appearing with the leaves in April and May. The fruit is a green or rose color, double samara maturing in September green or rose color. BARK: Dark brown to gray with narrow fissures and flat ridges creating plate-like scales. The back is this and easily damaged. 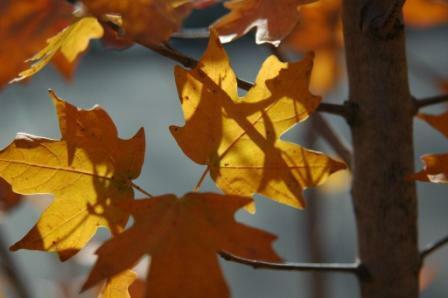 FOLIAGE: Leaves are simple, alternate, deciduous and have golden yellow to red fall color. Can be 3 to 5 lobed and sometimes both are found on the same tree. 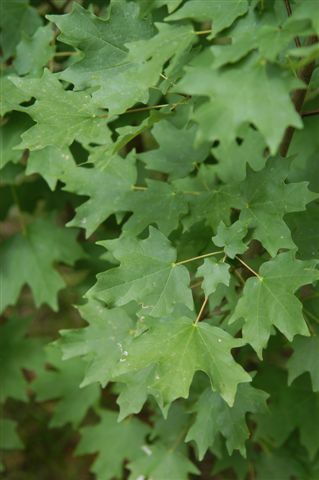 CULTURE: Big tooth maple can be easily grown in a variety of well-drained soils from sand to clays and also white limestone rock areas. It is drought tolerant and does not need heavy fertilization. PROBLEMS: Does not have many pests. 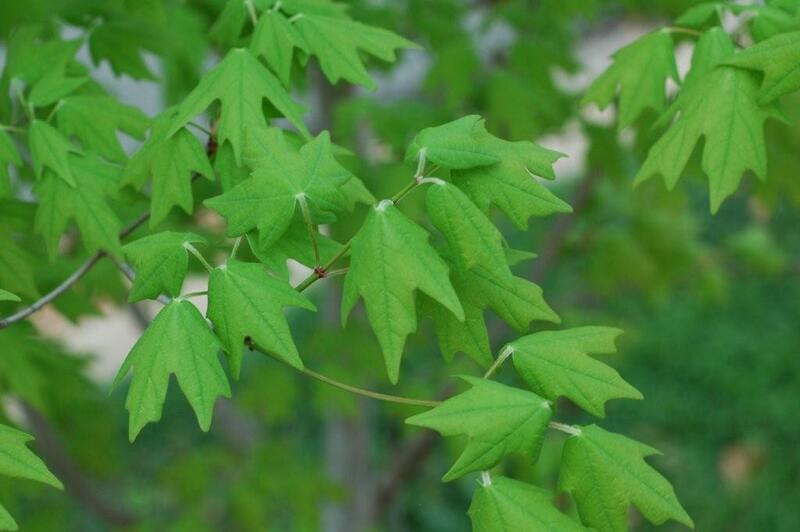 The only problem I have ever heard about relating to big tooth maple is that it is slow growing when young and the foliage can sometimes burn on the tips in extreme summers. PROPAGATION: Primarily done by seed collected in the fall and give cold stratification at 41 degrees for 30 to 160 days before planting. Seed from higher elevations require longer cold stratification. INSIGHT: This is a wonderful tree that should be planted more. It is becoming more available in the nursery trade but has been scarce in the past. 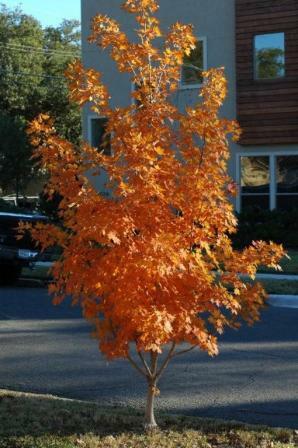 Uvalde Big Tooth Maple, (A. grandidentatum var. sinuosum differs somewhat by having 3 lobes with smooth margins.